Dublin, Ireland, 7 December 2016 — Nuritas, the Irish digital-biotechnology and R&D company founded by Dr Nora Khaldi, has announced it will triple its workforce in Ireland to over 60 in 2017 as part of a major expansion of its Irish operations. It has also confirmed U2 band members Bono and The Edge as investors in the company. Bono and The Edge recently visited Nuritas’ offices in Dublin to mark the announcement of the Irish expansion as well as further growth of its US-based operations. Nuritas says the additions to its workforce in Ireland will include roles across R&D, business development and other key support functions to drive global growth across many major health areas. Nuritas will continue to base its headquarters in Ireland but also plans new hires and expansion of its US operations following on from the recent opening of its first US office in San Francisco in 2016. Bono and The Edge, early investors in Facebook and Dropbox amongst others, are the latest high profile investors to be confirmed by Nuritas as part of their seed round investment, which closed earlier this year. They join Salesforce Founder and CEO, Marc Benioff, as well as the renowned US tech entrepreneur Ali Partovi in backing the company. Nuritas has financial support spanning three continents which also includes New Protein Capital, a Singapore-based institutional investor. Today’s announcement comes after Nuritas’ recent award of €3M in EU and associated funding to help bring to market a breakthrough food ingredient, considered a potential world-first in diabetes prevention, for which clinical trials are commencing shortly. Founded in 2014 by mathematician and computational biologist, Dr Nora Khaldi, Nuritas is an Irish headquartered biotech company that uses artificial intelligence, deep learning and DNA analysis to predict and provide access to the most health-benefiting components hidden within food called peptides that can manage and improve human health. Founded in 2014 by mathematician and computational biologist, Dr Nora Khaldi, Nuritas is revolutionising the discovery of novel, natural and scientifically proven active ingredients that can manage and improve human health. Dr Khaldi has Irish roots and moved to Ireland from France to further her education and eventually established Nuritas in Dublin where it is headquartered to this day. The company’s disruptive computational approach to discovery uses artificial intelligence, deep learning and DNA analysis to, for the first time ever, rapidly and efficiently predict and then provide access to the most health-benefiting components hidden within food called peptides. 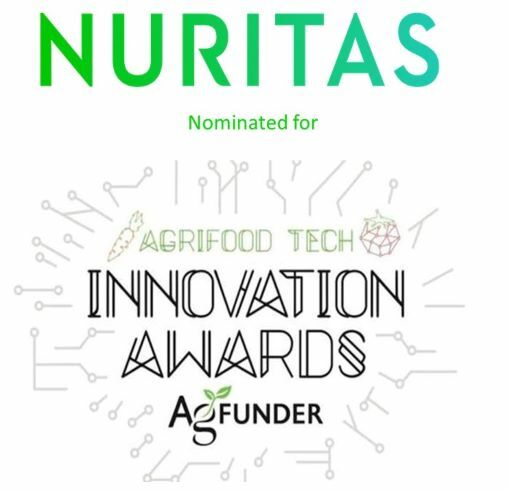 Nuritas has received global recognition for the impact its innovative technology will have on the future of food and health. This includes winning the overall Innovation Award at the Forbes Reinventing America Summit in 2015. This highly selective competition run by Forbes magazine aimed to identify the company most likely to solve the food and wellness challenges of the 21st century. The company has been recognized as one of the 21 most innovative startups globally by Business Insider and recently obtained awards commending the company’s innovative work at Supply Side West 2016, the world’s leading ingredient and solutions congress, and from Cambridge University. The Irish government also chose Nuritas as the sole representative of national innovation for the 2015 EU SME Summit. In turn, the EU Commission further recognised the company in 2016 for its revolutionary work by selecting it as one of Europe’s top 10 most innovative start up companies. The revolutionary peptide which is scientifically validated and patent-filed, is seen as a major breakthrough in the battle to prevent Type 2 Diabetes. Currently, there is no proven medical or other treatment that can be recommended for pre-diabetics to help prevent their progression towards diabetes. Nuritas is rolling out a series of clinical trials over the next 18 months, which would see the new ingredient integrated into food products for sale as early as 2020, subject to regulatory approval.